A teacher is the farmer that sows knowledge into the minds of children. 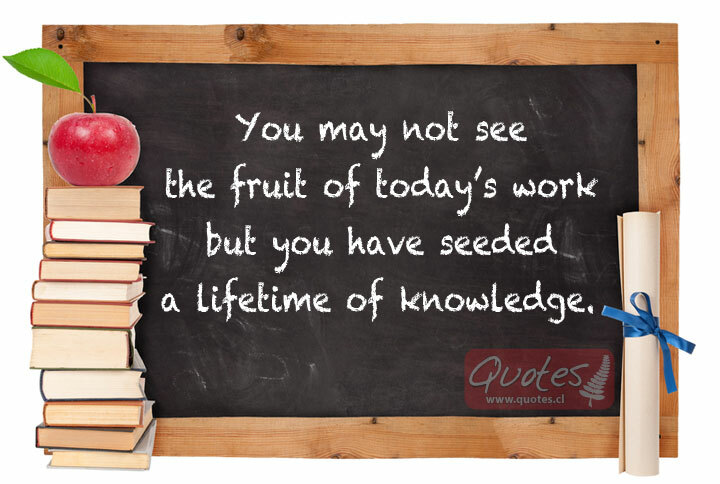 Each grain of knowledge is like a seed and if you don’t plant it, then it will never grow. You don’t want to create a barren wasteland when the ground is so fertile. At times you many even feel that you are wasting your time because you may not see the results of planting this knowledge immediately. YOU ARE NOT WASTING TIME! Just like seeds, it takes quite a while for the plant to even begin to raise its head from the dirt and even longer to share its fruit.